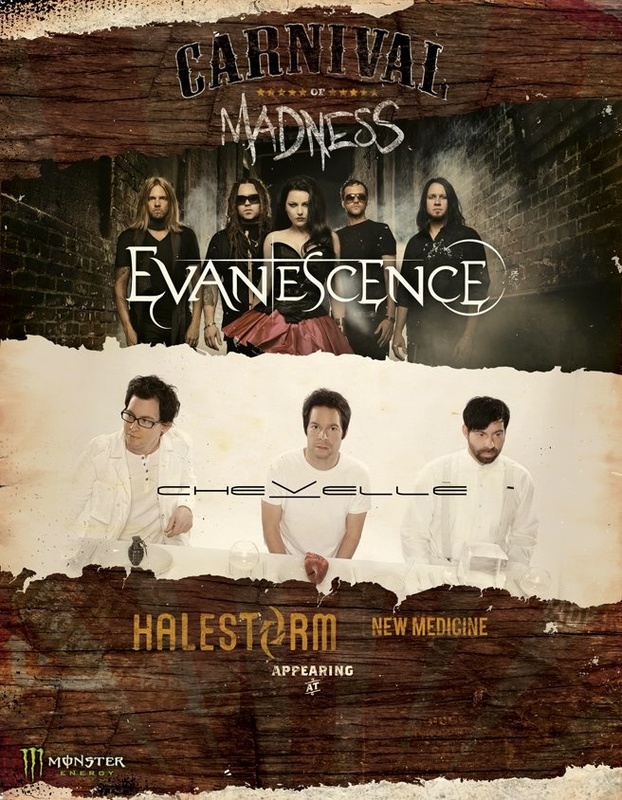 The third annual Carnival of Madness is coming this summer featuring Evanescence, Chevelle, Halestorm, and New Medicine. This 24-show extravaganza will begin on July 31. Read on to see if the chaos will be near you. Tickets are available to the general public on June 1, but select fan clubs will be offered pre-sale tickets this coming week. Radio pre-sale tickets will be available beginning May 22; Carnival of Madness fan club members can purchase tickets as of May 23; and artist fan club pre-sales begin May 24.